Ring Zen is a natural tinnitus treatment to help bring tinnitus relief in the least amount of time possible. 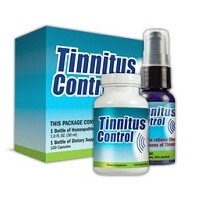 With this said, our tinnitus treatments are not a scam “tinnitus miracle” or snake oil tinnitus cure. It cannot work overnight in many cases. It is not just a tinnitus masker type of remedy to cover up the sound, but instead RingZen helps to lesson and even stop ringing ears by utilizing natural ingredients shown to help stop and relieve tinnitus symptoms (ear ringing) over time. RingZen contains a vastly improved citrus bioflavonoid formula (better than LipoFlavonoid plus), combined with Ginkgo Extract, deodorized garlic and absorbable form of magnesium. This is the tried and true stack for Tinnitus relief and ringing in the ears control. For maximum relief to stop ringing ears, it is HIGHLY recommended that you take in combination with Tinnitivix tinnitus treatment, and consume for at least 3 months consistently. Tinnitus formulas have helped thousands to lessen their ear ringing. Although, it unfortunately does provide a “cure” for everyone due to tinnitus being such a complicated issue, it does provide at least some relief for most. Understand that nothing works for everyone, but we believe that Ring Zen and Tinnitivix are the #1 tinnitus control formulas on the market today. We truly believe in our product, and know how effective it can be an effective remedy providing tinnitus relief when used properly.